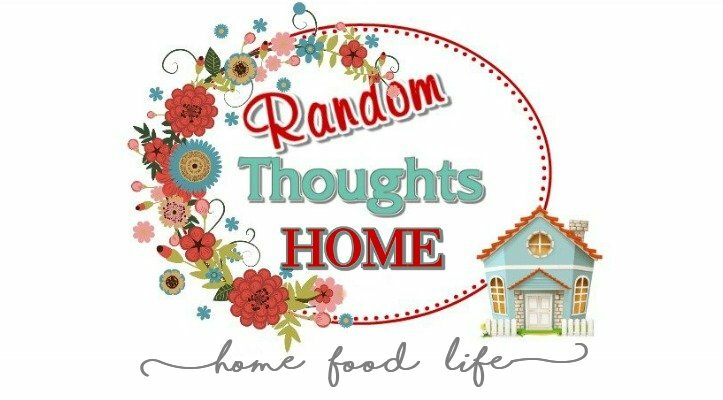 After many, many months of watching with wide-eyed wonder the amazing tablescapes over at Susan's blog Between Naps on the Porch, I decided to try my hand at one myself. I'm just a beginner, but I figured what better time to join than on Susan's 100th Tablescape Thursday! My solid red plates, as well as the tomato & pepper plates, are from Pier 1, purchased 10+ years ago. The placemats were a gift from my husband's dear aunt. The glasses are from Target. The red flatware was an engagement gift from my godparents some 18 years ago. My centerpiece items are pieces I've collected over the years from who knows where. So there you have it...Buon appetito! 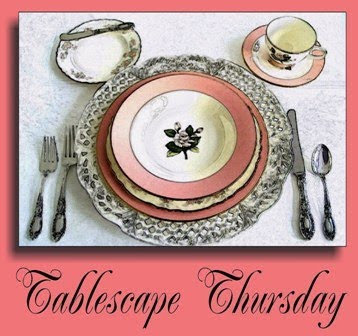 Hey, check out all the amazing tablescapes at Susan's blog here. I know you won't be disappointed! I love your table. Great job! I love the colors, and what a great table scape for your first one! I may whip one up tomorrow....we just came home from vaca and I am catching up. 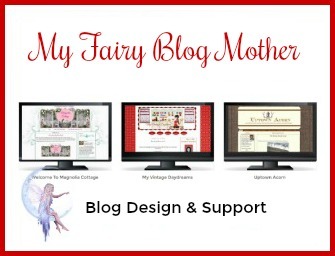 I love it...I plan on doing a tablescape...some day! This is just beautiful. We have a big pig too and my husband's favorite saying about food is, "You know what I always like to say....Fat pigs like to eat." You have set a lovely table. Thanks for sharing it. Very cute....I'll be right over, I wish! The table looks wonderful. 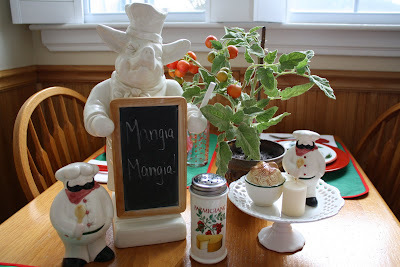 Cute table, and I LOVE your pig chef chalk board!!! Gina, welcome to the Tablescape Thursday gang! Love your friendly and inviting table -- and the cherry tomatoes are a fun addition to your centerpiece. What a good idea for an Italian table! Welcome! I like the red and green color scheme and your dishes. I like the treasures that you gathered to set off the table. Thank you Gina! I greatly appreciate the prayers!! I love it Gina...Oh, and how cute is Signore Piggy? Everything turned out molto bello. Great job on your first Tablescape Thursday post. Have a great weekend my dear friend. 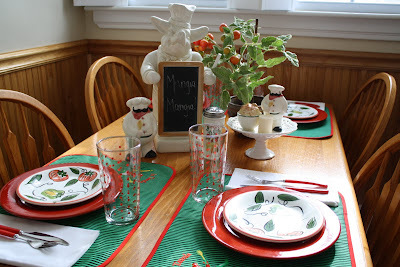 Great first tablescape, Gina...cute idea using the Italian colors on your table. Please let me warn you...tablescaping is very addicting! welcome to the most addictive hobby of tablescaping. I love your Italian table. 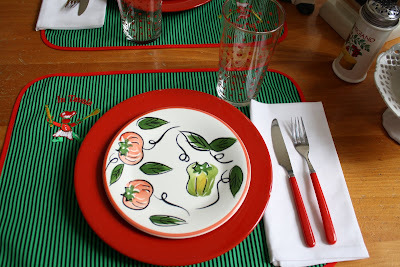 You have set it so nicely with the cherry tomatoe as centerpiece and this red plates and the paprika plates. The green placemats sets them off so well. Everything looks so spicy and sunny as Italy is. Great job, thank you for sharing this with us. How pretty -- love this the colors and how you've put this together. Happy 100th TT...here's to many, many more!